In this post I would explain about Marriage yog in Horoscope. Whether you know astrology or you have shallow knowledge, by following these tips you will learn how marriage happens as per horoscope. There are twelve zodiac sign & Horoscope also has twelve houses. Each house representkundalis the different sphere of life from birth to death. You would have seen that every house of horoscope is given one number. These numbers are symbol of zodiac sign. 1 number means Aries and 2 number means Taurus, 3 is Gemini 4 is Cancer, 5 is Leo, 6 is Virgo, 7 is Libra, 8 is Scorpio, 9 is Sagittarius, 10 is Capricorn, 11 is Aquarius and 12 is Pisces. In this way every number means zodiac sign. Ascendant in the picture means ascendant, ascendant is first house of the horoscope and from here the counting of the house start anti clockwise. Horoscope means planet position at the time of one’s birth. When you would see your horoscope, you will see all the planet in the different houses of your horoscope. For example: you see mars in one of the house of the horoscope and also see number 10 in the same house. It means Mars was in the Capricorn sign at the time of your birth. In the present article I am going to tell you about seventh house. The seventh house in the kundli represents the marriage. I will try to explain in very simple terminology and hope you may able to read your horoscope and know all about your life partner. One another important thing I would like to tell you that the following information I have discovered with my own experience. In this picture Venus is in Seventh house. This is Venus’s favorite house and in Hindi language Venus is known as Kaarak Grah for seventh house. Here number 4 means Fourth Zodiac sign cancer. 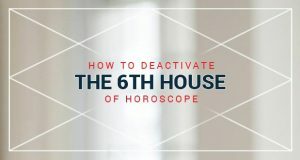 When Saturn sits in the seventh house of the horoscope it becomes powerful and gives good result but remember one thing it also delays in the marriage. On the contrary Jupiter becomes weak when it occupies the seventh house. Here number 9 means ninth Zodiac sign Sagittarius. If you see Sun in the seventh house then you must understand it will create problems in the conjugal life because Sun indicates towards divorce. Mars in seventh house of horoscope creates famous Manglik Yog & it also generates problems in home, job & career. Mercury becomes weak here. Here number 4 means Fourth Zodiac sign Cancer. Rahu also indicates separation in relationship. If Rahu is in seventh house, person keeps himself away from partner. If husband wife both has Rahu in seventh house of horoscope then the divorce is guaranteed within one year. If Ketu is in seventh house, the person may not divorce his/her life partner but the separation shall remains in life. Husband / wife don’t like each other. When will you get married . Hi Sir, I am a non manglik boy.I want to marry a manglik girl.she is divorcee. Is there remarriage counts for mangalik dosh?Somebody told me it doesn’t affect after 32yrs age.How will be our life ahead? I love her a lot. Please guide me for marriage and marriage date.